Feb. 23, 2018, 8:38 p.m. The photographic work of Meng Han highlighs Chinese children who have been adopted by American families and are now growing up the United States. Well over 130,000 have left China with their new parents since 1991, when adoptions from the mainland first became possible. 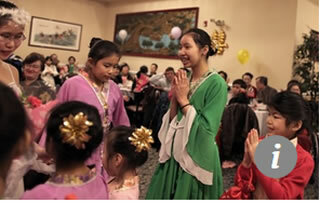 The majority of Chinese adoptees are girls, according to the US State Department. Applicants currently have to wait many years before getting matched with a child – compared with wait times of about a year before 2007 – although the period can be much shorter for children with disabilities. The Global Times newspaper has suggested that about 80% of adopted orphans are children with special needs.